An affair that stunned the world. Two men, committed to their impossible love. One general, determined to destroy them both. In the chaos, Jack's relationship with the Russian president, Sergey Puchkov, grows closer, and the two nations find themselves working almost as allies. But President Puchkov has secrets of his own, secrets that could rip everything apart. And Ethan steps back into the action with Lieutenant Adam Cooper, taking charge of a covert kill team tasked with hunting down General Madigan once and for all. Wow, what a wild ride that was! If you have not read Enemies of the State, read it first, as Enemy of My Enemy is not a stand alone book. If it's been awhile since you've read Enemies of the State, consider rereading it. You might want to consider taking notes as you read to keep up with the threads and who is good or bad, if you can figure it out (because we just don't freakin know most of the time!) since we'll undoubtedly have to wait a few months for book 3. Suspend your disbelief. Turn it off, if you can, because the plot will stretch the limits of it. And sit back and enjoy the ride. Hope you like roller coasters! 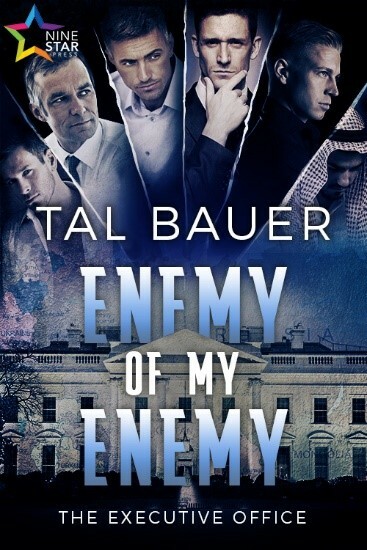 Enemy of My Enemy was even more action packed and intrigue filled than Enemies of the State. I was at the edge of my seat for nearly all the 400 pages. And, as I mentioned, it ended on more of a cliffie than Enemies of the State did, so be warned -- you are going to want more as soon as you're finished...and you'll have to wait, just like me. I can't go into the plot here, because you need to go in blind. What I can say is that the conspiracies run deep and vast and no one, including the reader, knows who they can trust. It's one huge mindfuck. Jack and Ethan - I just love them. Even when my heart was breaking, I loved them. Together, I really think they can do anything. And Madigan and his (not so) Merry Band of Madmen are determined to tear them (and everything else) apart. Jack and Ethan got one thing after another after another thrown at them and there does not look to be an end in sight. And there are other releationship threads, too that I really really want to see explored. Gimme gimme gimme! We do get some answers, but we also end up with a whole lot more questions. And my biggest question of all, which I will share, is: How long will we have to wait for book 3? 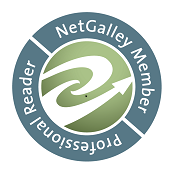 ARC of Enemy of My Enemy was generously provided by the publisher, in exchange for an honest review.